Approx. 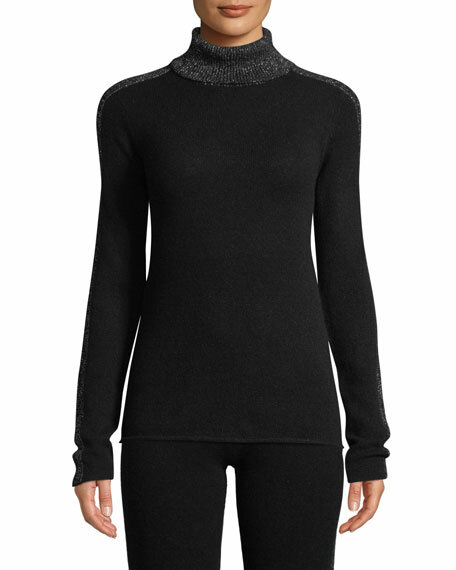 24" body length; 23" sleeve length (Size Medium). 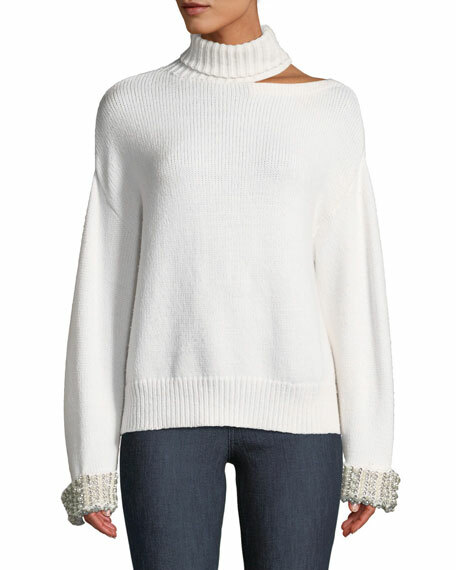 Alice + Olivia "Gemini sweater with embellished cuffs. Turtleneck. 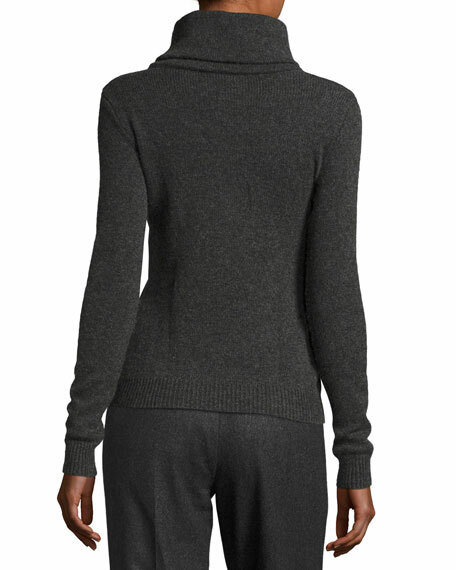 Long sleeves; cutout shoulder at left. Relaxed fit. Pullover style. Cotton/wool/acrylic/spandex. Imported. Balenciaga knit sweater with logo embroidery at front. Turtleneck. Long sleeves. Drop shoulders. Ribbed trim. Relaxed fit. 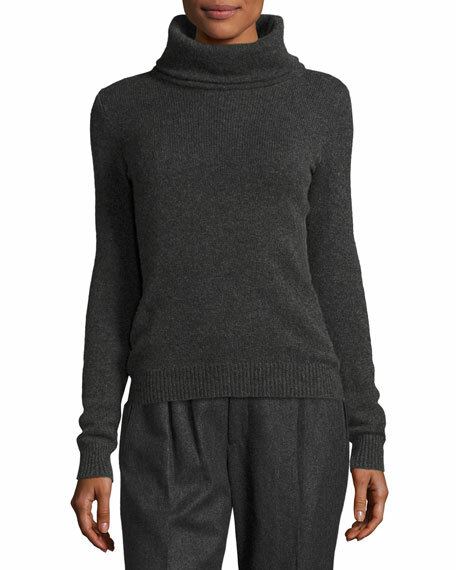 Virgin wool/cashmere/nylon. Made in Italy. 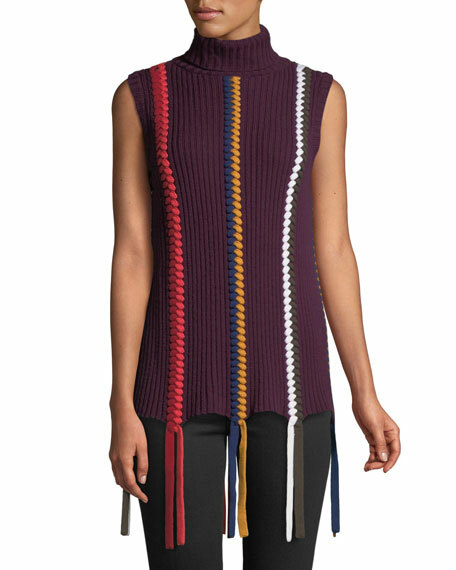 Derek Lam 10 Crosby rib-knit sweater with multicolor braided details. Turtleneck. Sleeveless. Relaxed fit. Braid ends hang past hem. Pullover style. Merino wool. Imported.